The realm of the “personal” is now increasingly touched by technology – especially the Internet. For example, sleep is now something we do in between checking our smartphones. Our relationship to food and eating has changed too. Home delivery, restaurant search, table bookings – these have all been elevated to a high level skill-set which is part-entertainment, part-electronic processing. And travel is now a finger-clicking exercise with precision timing. This readjustment of our daily routine has had one significant effect: it has taught individuals a range of skills that would normally be in the domain of businesses. Ordinary people now behave as businesses do by using buying strategies to get costs down. We now have expectations of quality and delivery. In fact, we have become so business-like as individuals that marketers need to get rid of the processes of “Business-to-Consumer” communication, and begin to adopt the rules of “Business-to-Business” when talking to consumers. Such change of our lives is an explosion of the new – new thinking, new business, new relationships, new selling, new buying, new leisure, new humans. An original book, by a radical thinker, that provides an important perspective on the Internet – and how it is shaping our lives. The author is one of the workd’s most respected thinkers and practitioners in marketing and business. 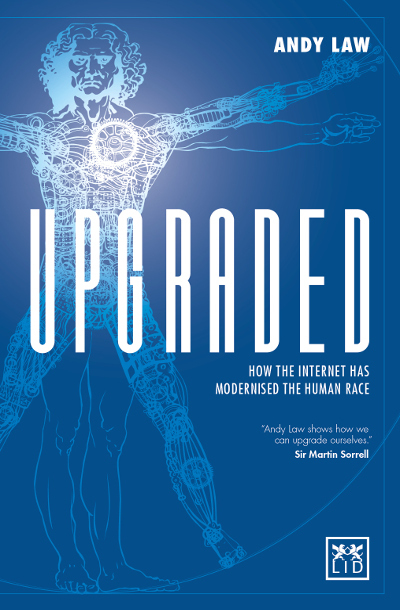 Insightful commentary and predictions on the effect the Internet is having on people’s lives. Provides expert analyses on what companies and brands must do to respond to these changes. Author is an excellent self-promoter; wide business and general media coverage expected. Andy Law is one of the world’s most respected and radical thinkers and practitioners in marketing and business. He is the author of Open Mind and Implosion.